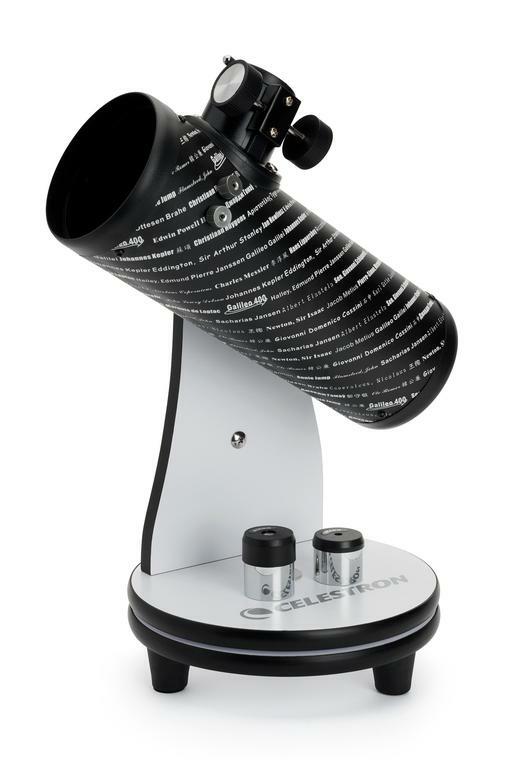 Wrapped with a graphic featuring the names of prominent astronomers and scientists who advanced humanity's knowledge of the stars, the Celestron FirstScope 76mm f/4 Signature Series Moon Alt-Az Reflector Telescope is designed as an ideal entry-level optic for observing the Moon and planets, comet-watching, and enjoying meteor showers. 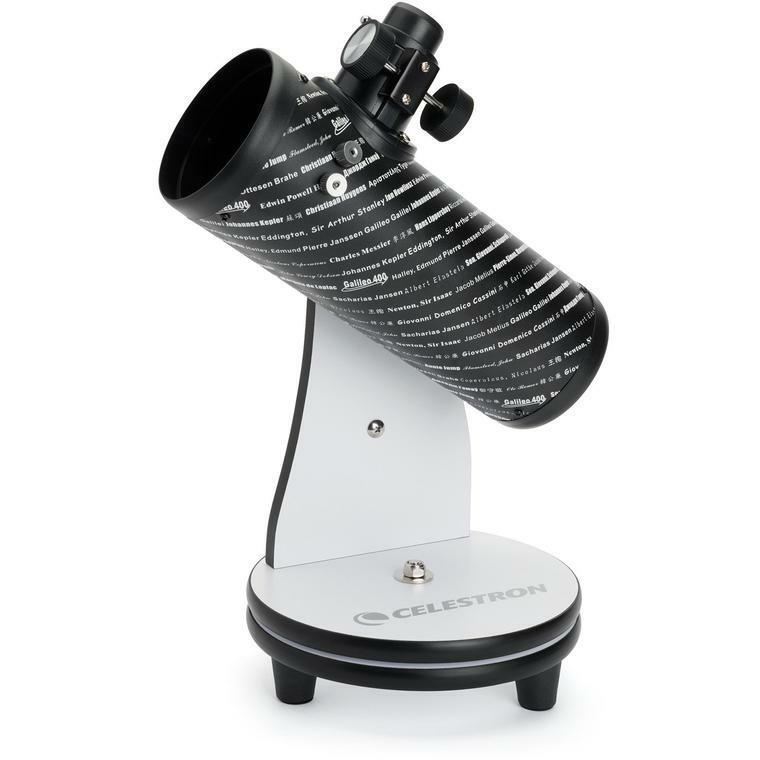 This tabletop telescope features a Newtonian reflector optical design, and comes with two fully multi-coated 1.25" diameter eyepieces that yield 15x and 75x magnifications. 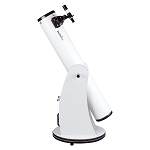 The manual tabletop alt-azimuth mount gives you easy control of the telescope for tracking near and deep-sky objects. 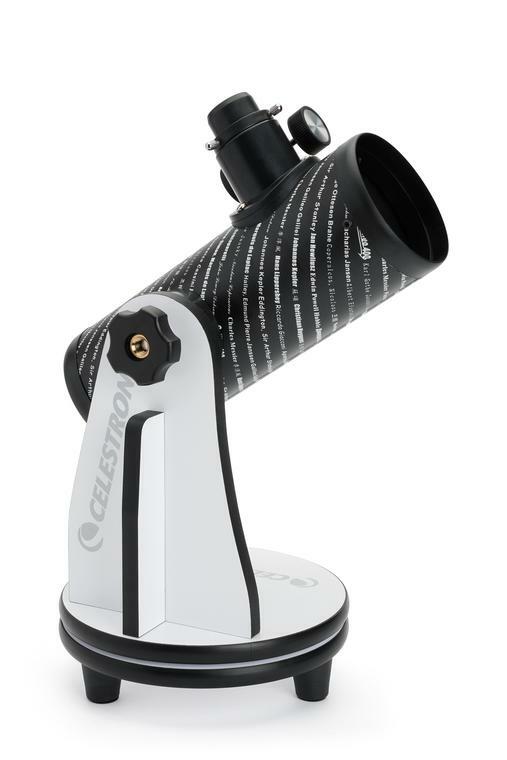 This telescope is easy to assemble and transport, so you can spend less time setting up and more time enjoying the night sky. Box Dimensions (LxWxH) 21.25 x 11.3 x 10.0"